Stressed over a big business presentation in front of company executives? Or marketing a new product via presentation? Or an academic presentation, to be delivered in front of the entire class? Don’t worry; you’ve reached the right place. 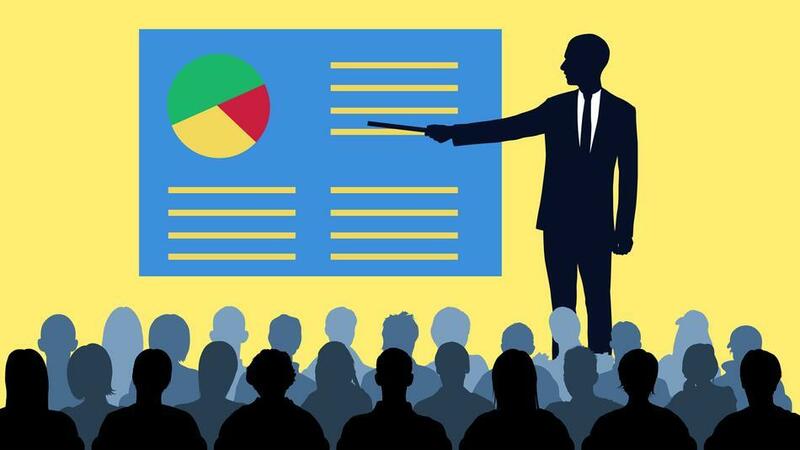 This article will serve as a step by step guide to creating and delivering presentations successfully. What type of audience would witness your presentation? Informative Presentation – This type of a presentation is given to enlighten the audience about a new idea or new entity to the audience. Information about the existing trends and outcome can also be given via such presentations. For example a presentation on the “The Seven Wonders of the World” or about the “Net annual profits” of a company. Persuasive Presentation – Such presentations are given in order to persuade the audience to follow a certain idea or change their belief about something. A persuasive presentation would not only inform members about the net annual profits but would also contain certain directives to be followed by the members to increase the profit. Small group: – An interactively styled presentation, interspersed with anecdotes and a bit of humor is often suitable for such an audience. Focused group: – The whole idea of the presentation would be based on the requirement of the group. Facts and figures should be presented in an orderly manner and supported by graphs and charts. A minimum amount of text should feature. Use a video or an image to illustrate a concept. Be precise in writing the headings of the slides. Use of graphs, pie charts etc. to represent facts. The background and text should be in contrast to each other, to enhance visibility. Senseless animations and transitions should be avoided. The test of your skill, preparation and the amount of effort you’ve put in happens on the presentation delivering day. Besides following the general protocol of dressing smartly, reaching the presentation venue on time, one should give due importance to the below enlisted 5 points in order to become the ‘star’ of the day. In order to grab the full attention of the audience, one should start with asking a question, speaking out a powerful anecdote or show an engaging visual. Stand straight, hold your head high, and keep your shoulders straight. Distribute the weight of the body on both the legs. Use open palm gestures while communicating. Do not put your face down. Talk in a well-controlled pitch, voice and tone. 10% of time to introduction. 20% for giving a basic overview of the main theme. 60% developing the main theme. Self-Confident – Be in full control of everything and dump nervousness. Commanding demeanour – In good command of body language. Awareness – full knowledge of the audience, stage, mic etc. Diplomacy – an ability to blend with the audience and the matter. Decisiveness – Being clear about the matter. Compelling – Ability to make the audience see and follow your point of view. Enthusiasm – Never losing the sight of the objective of the presentation and keeping up the spirit of presentation. Honesty – Don’t start faking stuff to in order look cool. Etiquettes – Start and end with greetings, respect the stage and the audience. Flexibility – Not being rigid if there is a different point of interpretation. Clear Distinction Between Introduction, the Middle and the Conclusion. Quick Recap of the Points That Have Been Developed. For Better Impact Pack the Conclusion With an Anecdote or an Analogy. Thank the Audience with a simple bow, for listening to the presentation. Open the floor for the Question-Answer Round. As soon as you are done giving the presentation, you may be flooded with questions by the audience. A lot of presenters get bogged down by the incoming questions and lose their calm; this can spoil your entire presentation and leave a negative impact on you as well as your presentation. The following points shall be noted for the Question-Answer session of your presentation. Encourage everybody from the audience to ask questions. Listen to the questions well, Compliment a good question. A sincere attempt at answering questions is always appreciated by the audience. If you don’t know the answer to an asked question, humbly apologize instead of giving a non-relevant and gibberish answer.